I remember once being told that women are judged by their shoes, and men are judged by their watches. Quite frankly, in this day and age, it seems that the opposite also applies - in fact, at times it's easy to feel that you're being judged for everything! 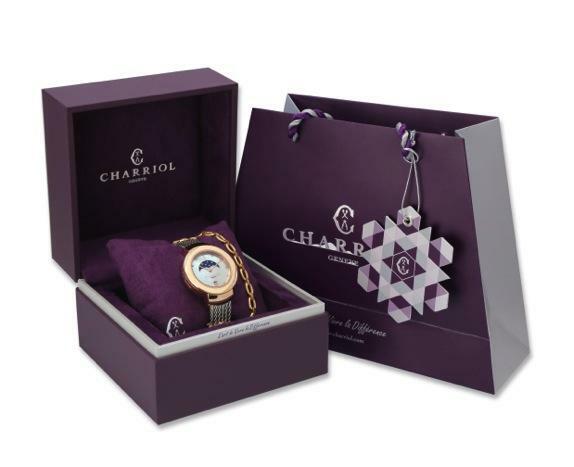 With this in mind, I was surprised and flattered when we were offered the opportunity to test-run a luxury watch produced by Swiss company, Charriol. 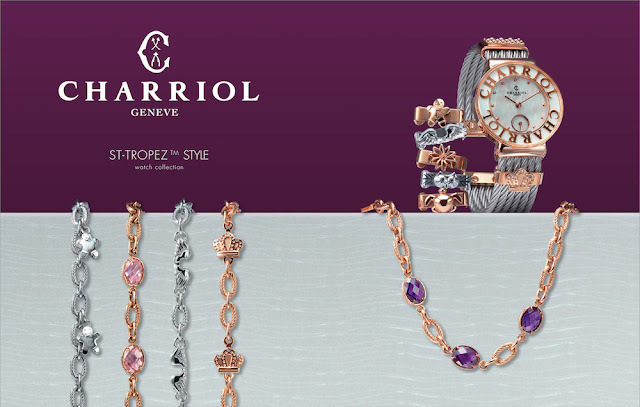 Established in Geneva in 1983 by French entrepreneur Philippe Charriol, Charriol is a relative newcomer to the market of prestige watches and jewelry. The watch in question was the St-Tropez 35 (inspired by the French Mediterranean resort of Saint Tropez), which, for the first time ever, has been designed to include a moon phase on the watch dial. What this means is that you are able to tell the fullness of the moon: something that is usually overlooked, as most people don't need to know how full the moon is (unless you're a werewolf and need to plan accordingly). Having said that, the moon phase adds a sophisticated touch that can be a talking point amongst watch connoisseurs (particularly if they happen to be werewolves). Given that the watch was worn by actors at the Cannes International Film Festival last year (and was also awarded the Grand Prix award in the Ladies’ category of Japan’s Import Watch of the Year 2015-2016), I couldn't resist the opportunity to take a closer look at this luxury timepiece. First off, I admit to not knowing a great deal about watches. So naturally, my initial impression came from the design and aesthetics. With a mother of pearl dial, and the option to choose steel, yellow or pink gold plates PVD, the watch is pleasing to the eye and avoids the blinding bling that many others being sold in Asia tend towards, but manages to exude classic elegance. I have to admit that the colour I was given to trial (below) was not quite my style, but the steel colour is right up my alley. 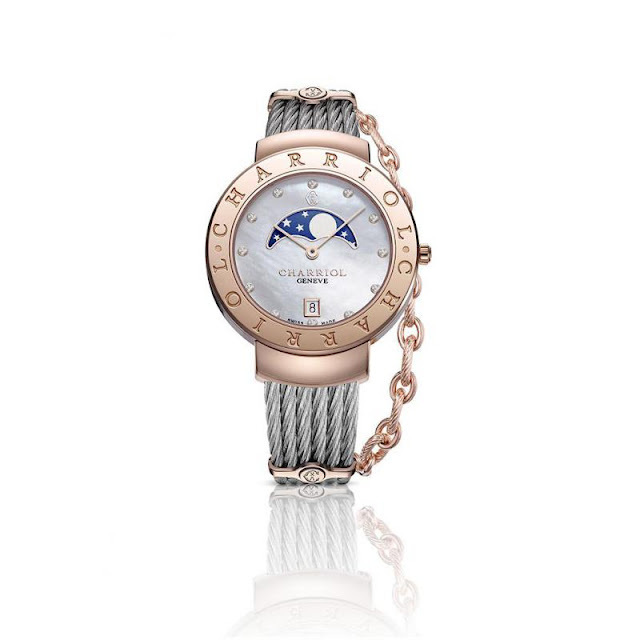 What I find most unique and eye-catching about the watch is what the company describes as its "iconic cable bracelet strap", which sits loosely along the side of the watch. This actually acts as a measure of security to keep the watch on your wrist, given that the watch clasp itself is slightly open at the back. For a person who tends to move her hands when talking, the strap, which looks like a bracelet, is surprisingly not cumbersome, although it may need to be tightened for those with small wrists. On that note, with typically narrow Asian wrists (but strangely large sized hands), I was glad to discover that the watch comes in a range of sizes (including 20 mm, 25 mm, 30 mm, and 35 mm). The other differentiating aspect is that the Charriol St-Tropez 35 watch actually allows for customisation along the band, as well as on the bracelet strap. As can be seen below, customers can select from a few decorative options to personalise their watch. I love this concept, but I'd like to see more options available. The technical specifications are below. For those that have no idea what any of this means, in essence, the watch uses Quartz movement, which is appropriate given the high end jewellery-like nature of the watch. This means that owners do not need to worry about resetting the moon phase, date or time, even if they leave their watch in their jewellery box for a few weeks until the next perfect outfit calls for the Charriol St-Tropez 35. With a price range of HK$13,800 to HK$14,800, this watch doesn't come cheaply - but if you are looking for a Swiss classic, then the Charriol St-Tropez 35, with its one-of-a-kind side bracelet and ability to be customised, may be the right one for you! Note: We were not paid or sponsored to write this blog post, but we were given the opportunity to trial the watch for one week, with compliments of DT Communications.